Side event on killer robots at the UN, 18 October 2016. Photo courtesy of UNODA. 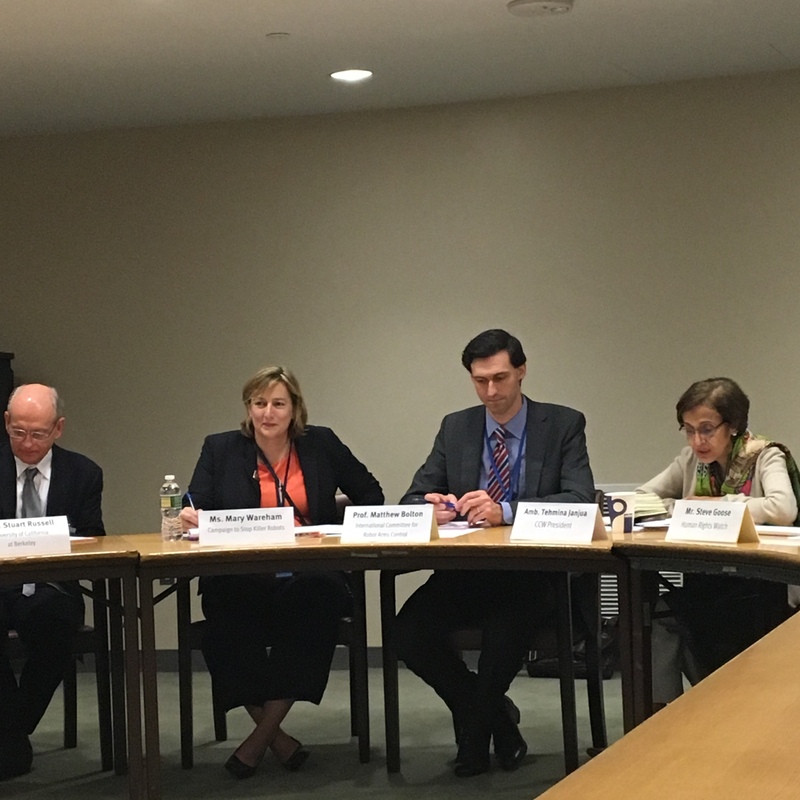 Director of Pace University’s International Disarmament Institute Matthew Bolton chaired a side event on autonomous weapons systems — “killer robots” — during the UN General Assembly First Committee 18 October 2016. The event featured Ambassador Tehmina Janjua of Pakistan, chair of the upcoming Review Conference of the Convention on Certain Conventional Weapons (CCW); Mary Wareham, coordinator of the Campaign to Stop Killer Robots; Stuart Russell, Professor of Computer Science and Engineering at the University of California at Berkeley; and Steve Goose, executive director of Human Rights Watch’s Arms Division. 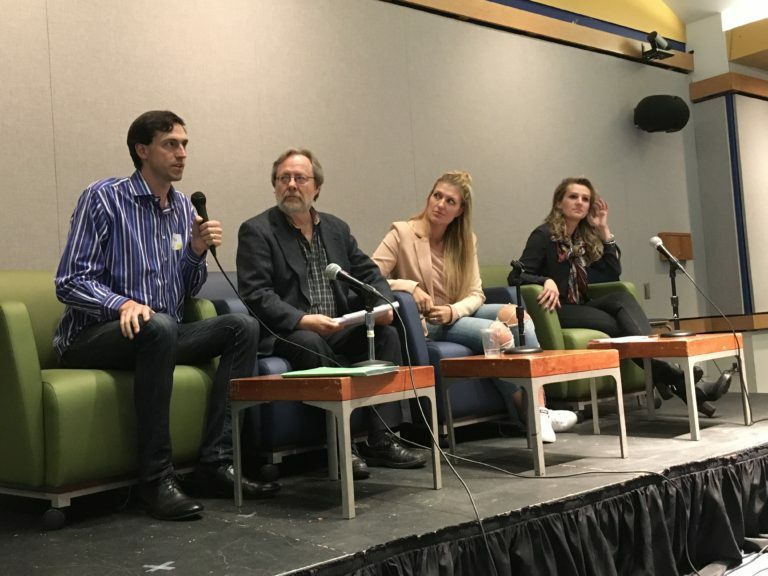 Panelists raised concerns about the security, humanitarian and human rights implications of growing autonomy in weapons systems. To learn more about the event, read the write-up by the UN Office for Disarmament Affairs or this flyer from the Campaign to Stop Killer Robots.